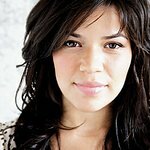 America Ferrera became an Ambassador for Save the Children in 2008. In September of that year she presented an award at the Clinton Global Citizen Awards ceremony. She answered phones at the Stand Up To Cancer telethon in 2008. Google trends for "America Ferrera"